Imagine being 22 and having no control of your bowels. Risking having accident and being covered in poop at any time. The beauty of having a stoma means that I can literally poop partying, sleeping, eating, being intimate or out in public. The down side of course means that due to the nature of having a high output stoma I can have a leak at any time. Due to leaks I’ve had to change my bag in the back of a car, in store changing rooms if there’s no toilet, in a tent at a festival, 30,000ft in the air on a plane. 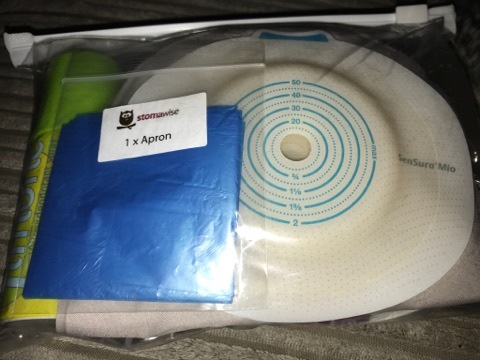 Sometimes, you can get a heads up from your stoma that a leak may occur with signs such as the bag filling up very quickly, itchiness around the skin surrounding the stoma, being able to smell the gas escaping and visibly seeing the baseplate coming away from the skin. 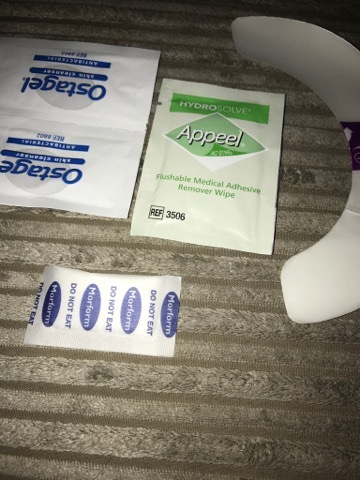 My stoma was created during emergency surgery so the skin surrounding it isn’t even, this isn’t ideal for someone with a lifelong stoma as the uneven skin is a weakness for leaks, as watery poo can escape. 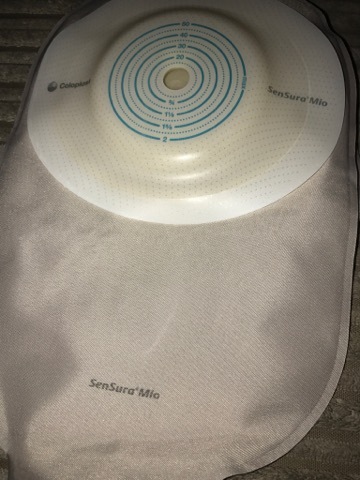 I’ve tried many different appliances over the years but me and my stoma nurse have come to an agreement that due to the position and uneven skin I probably will always endure leaks but I’m okay with that. I think overtime you get hardened and get use to dealing with incontinence and leaks. Don’t get me wrong its tough! Who wouldn’t find poo running down their legs difficult! I frequently call my stoma ‘666’ because it misbehaves all the time! So, I thought I’d tell you all my all-time most embarrassing incontinence dilemmas! My stoma behaves like Mount Vesuvius at bed time- this means that once I’ve taken my bed time medication I’m knocked out and don’t have the fastest reflexes to deal with my naughty ‘666’! This means I frequently wake up covered head to toe in last night’s tea and so is my partner! All we do is laugh, I run to the bathroom and clean myself up and take care of my skin and stoma whilst my partner puts the poo soaked sheets and dirty laundry in the washer and changes the bedding. Imagine being intimate with your partner and your anxiety peaks when you feel something warm and wet running down your legs. Not sure what bodily fluid it is you look and to your horror it’s the brown type…poo again! Yes, it’s happened on a handful of occasions! Mortified at first but now we just laugh, more concerned that we’ve christened the new sofa not in the way we imagined ha ha! During a holiday in Cuba, I was overwhelmed with the natural beauty and the unlimited amounts of cocktails in the Jacuzzi that I’d forgotten all about ‘666’! As, I was exiting the pool I felt the seal on my bag come loose! Panic struck and I ran fast to the pool toilet. As I pulled down my swimsuit to assess the damage my stoma bag came away from my skin. I bursted in to tears because I had no supplies with me they were in my beach bag by the pool. By this time output was squirting everywhere! I couldn’t shout Greg. Kindly, a lady had herd me crying in the toilet and asked me if she could do anything to help. I had to overcome my embarrassment if I wanted to leave the toilet and go to my room. So, I explained that I had a stoma and I’d left my supplies by the pool. She tried to find Greg but couldn’t spot him so brought me a supply of towels to help me clean myself up, plug my stoma with one and another one to wrap round me to maintain my dignity. She helped me to maintain my dignity and find Greg. I would have stayed in the bathroom all day if I didn’t receive the help of a stranger. 1) I know it’s unusual seeing a grown adult being incontinent please don’t stop and stare. During this time, they may be feeling extremely vulnerable and exposed. If you’re feeling repulsed or awkward just imagine how they may be feeling. 2) If you want to help to help or assist; please ask how you can assist, this is normally a good place to start. Some may be appreciative of the offer but please be aware some may be extremely embarrassed and reluctant to accept help. 3) If an accident occurs in a public place, maybe offer to shield the individual until they reach the appropriate facilities. This will help the individual maintain their dignity; offer a coat or blanket or even walk in front of the individual to shield them. 4) With their permission assist, them to the disabled toilet; help locate supplies or help make the facility secure. During an accident, it can be very messy and difficult to handle all at once. Everyone always laughs at the size of my handbag because its huge! Mainly, because it contains my emergency go to bag for my stoma supplies and my daily medication! 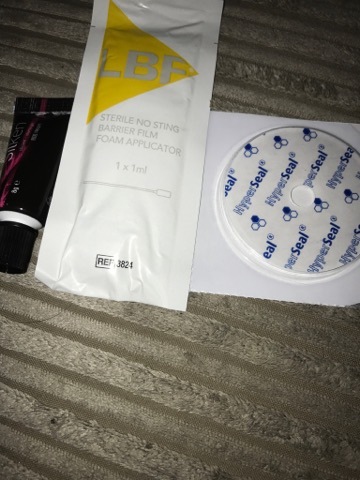 X2 Morform- This is a product that can turn extremely loose output into a solid, so is an ideal product if the seal has broken down and a toilet isn’t available! X4 Flange Extenders- Again if the seal is breaking down but a toilet isn’t available these add extra security. 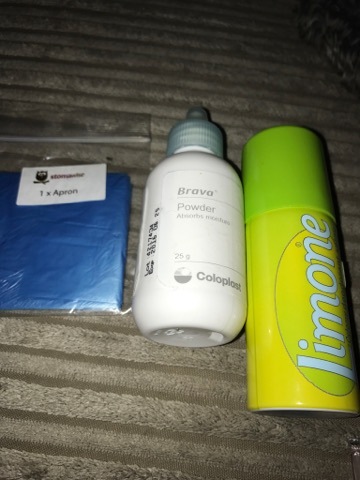 X4 Barrier Applicator- This is used to protect the skin from the acid in faecal matter, during a leak poo can burn your skin. 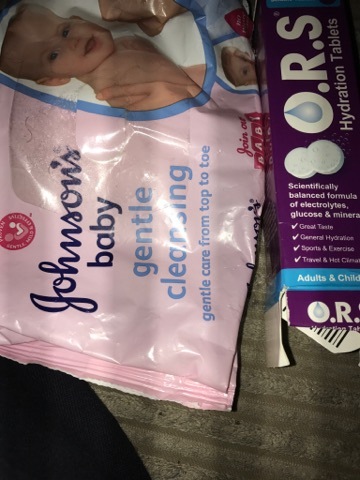 Oral Rehydration Solution- Those with an ileostomy can empty there bags 8-10 times a day meaning we are prone to dehydration and even more so when we have very loose output. Why Its OK Not To Feel Brave!